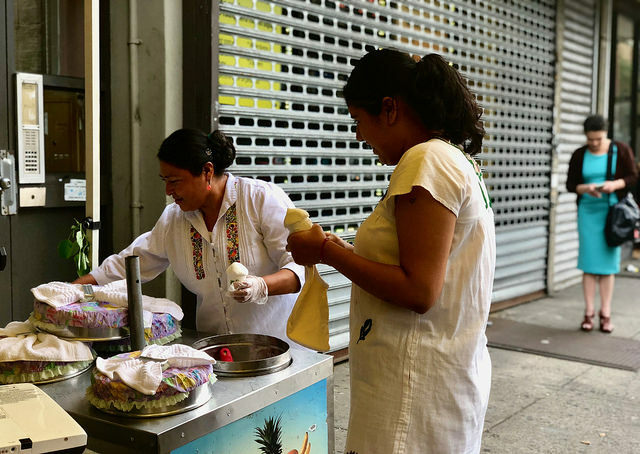 A group of Lower East Side residents celebrated the first victory in the fight for a community’s rights to a building that has remained unoccupied for almost 15 years. The crowd bellowed, “No lease. No Dorms” as Councilwoman Rosie Mendez took to the steps of the apartment building across from the abandoned CHARAS Cultural Community Center at 605 East Ninth St., yesterday. Mendez then announced that the Department of Buildings (D.O.B) has issued a Stop Work Order stopping land developer Gregg Singer, from turning CHARAS into a 200 bed dorm for Cooper Union and The Joffery Ballet. Community organizers are now looking for a way that the building can be entirely given to the residents. The building was originally erected as a public school in 1904. In 1977, four year after the school’s closing, various East Village and Lower East Side community organizations re-appropriated the building and turned it into a community center. Hundred of theater groups used the space. In 1998 the Giuliani administration decided, after 34 years, to close the community center and put the building up for sale. Development was stopped as a result of discoveries made by the DOB regarding discrepancies between building codes and the agreement between Singer and the schools outlined in the lease. A theme of yesterday’s event was discussing the difficulty of fighting back against the changes that hurt the neighborhood while embracing the ones that help it. Ralliers said the dorms would not contribute anything to the community, but rather open the door for development and further displacement of residents. 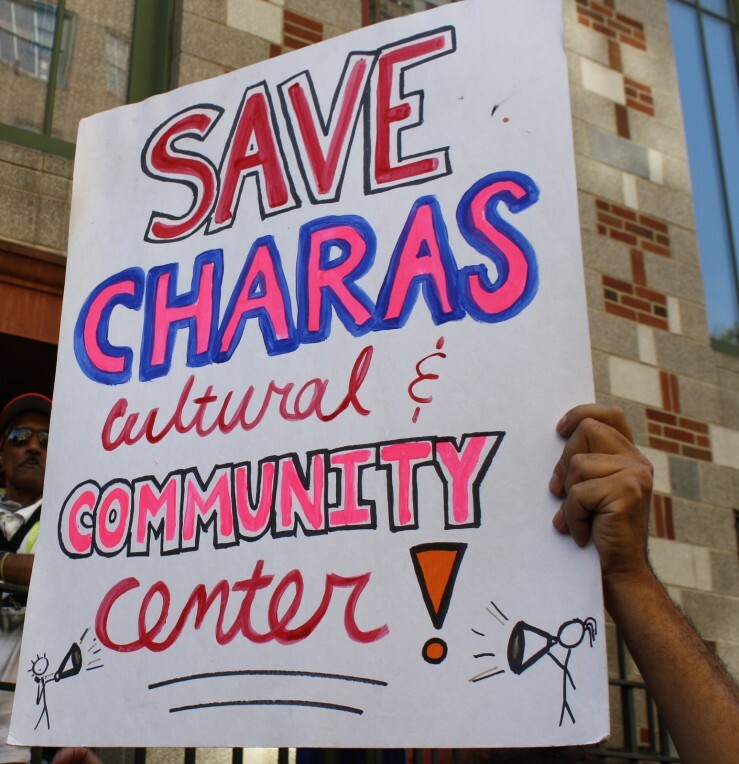 The CHARAS center for years before its closing served as an open space for the community to come together creatively as well as a space for discussion surrounding problems inside of the community. Though the recent turn of events has temporarily kept the building from being developed further, Mendez and supporters of the rebuilding of the community center acknowledge that there is still more work to be done.